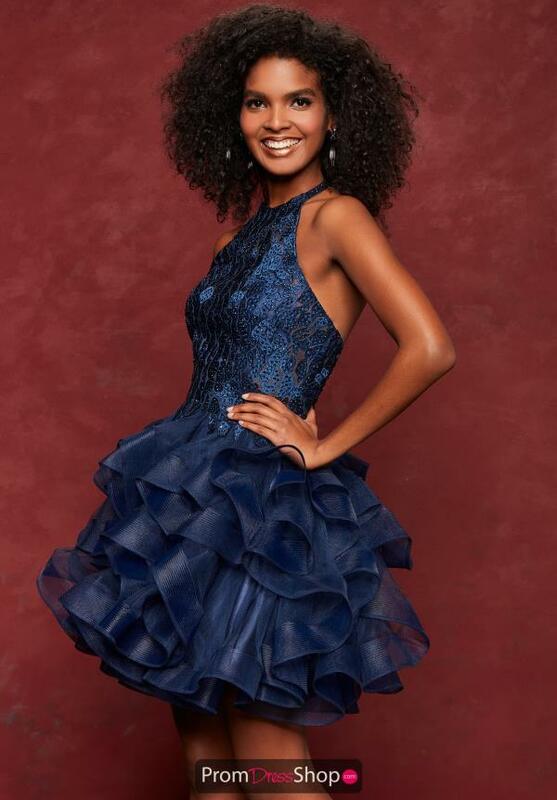 Magnificent navy dress 3662 by Clarisse is sure to leave a lasting impression for your formal. Featured is a fitted bodice with a flattering, high, halter neckline along with stunning and intricate applique design. The voluminous a line tiered skirt gives a look of drama, showing off ruffles to complete this style.